Tattoos of any kind draw the eye, but especially those that are made to look three-dimensional. 3-D tattoos have been around for a while, but they seem to be a particularly popular trend on Instagram lately. 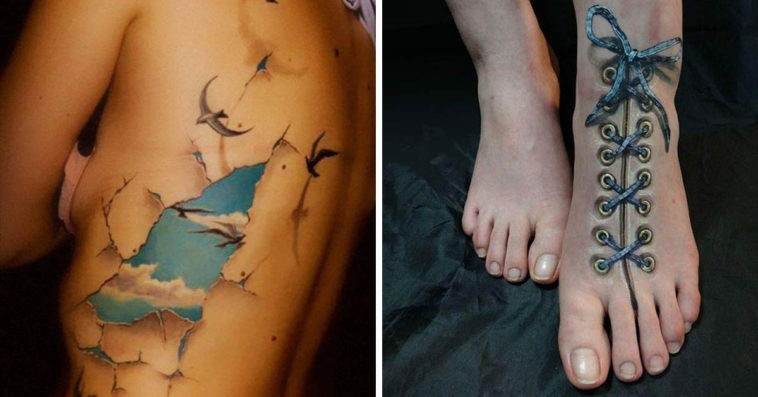 These are just a few of our favorite 3-D tats that’ll bend your mind in all different directions.